Faces Ultime Pro Mineral Loose Powder contains natural mineral and provide a perfect skin with a soft luminous glow and a flawless makeup. It is gentle and protective to the most sensitives of skin. Fragrance and preservatives free. Talc, Octyldodecyl Stearoyl Stearate, Mica, Zinc Oxide, Zinc Stearate, Undercylenoyl glycine, topaz powder, tocopheryl acetate, CI 77891, CI 77891. I have never seen such cute makeup loose powder packaging anywhere. 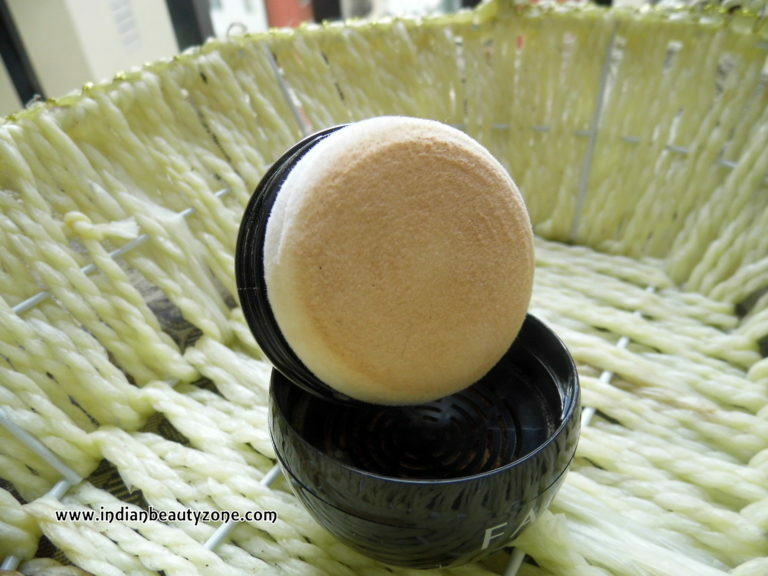 It looks exactly like a small authentic powder dubba which our moms used in olden days. The packaging is so pretty which comes like a small black colour pot like case with a silver lid. It is travel and user friendly. I love this cute pack which has good powder sponge and a thin white separate sheet between powder case and the sponge lid. There are five beautiful shades available... 1. Ivory Beige - Fair, 2. Natural Beige - Fair to Medium 3. Sand Beige - Wheatish 4. Golden Beige - Medium 5. Honey Beige - Dusky. 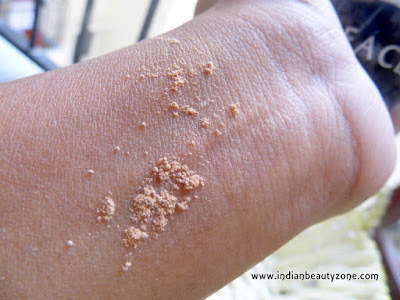 My skin tone fall into medium to fair category, but I have chosen Honey beige because sometimes natural shades won't match for me and looks whitish. This shade looks bit dark for me and my calculation went wrong. Still it looks good and natural on me. 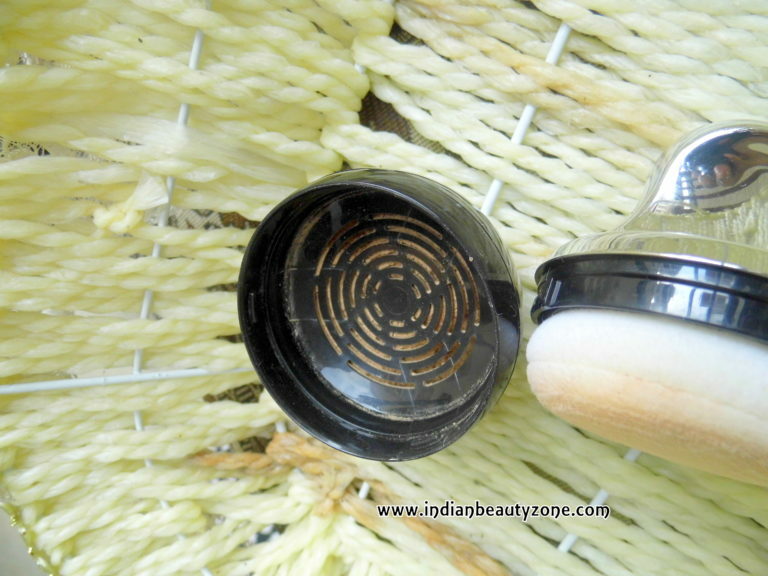 I have combined both a lighter shade BB cream and this loose powder which looked very good. The texture of the Faces Ultime Pro Mineral Loose Powder is silky smooth and finely milled powder. 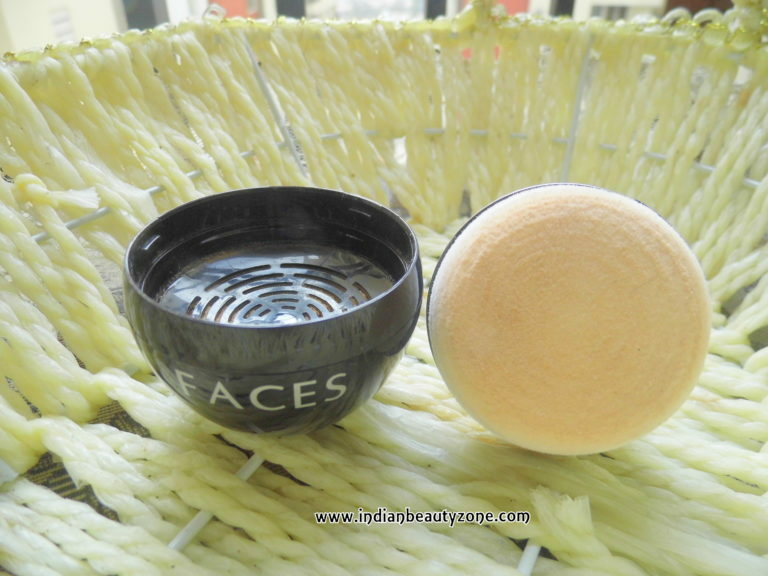 I liked the soft texture which blended smoothly on skin. The loose powder is easy to apply and it stayed more than 4 hours on my oily face with a BB cream base. It doesn't gives any cakey feel and I hope it will be suitable for dry skin girls when used it with a good moisture base. I liked the mineral and the non comedogenic formula very much, so far I don't have any allergy issue with this product and it is fragrance and preservative free, so 100 % safe on sensitive skin. It gives a natural finish and hides basic flaws and if want to hide your major flaws like freckles, black spots, very dark circles you need a perfect base first, because this loose powder gives you medium coverage only. 5 Shades available to choose. 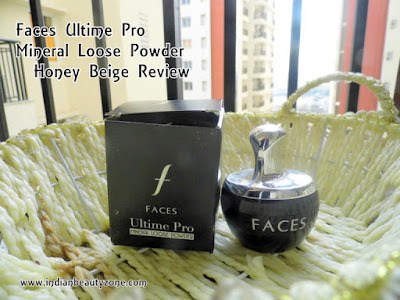 Faces Ultime Pro Mineral Loose Powder is a decent mineral loose powder for daily use if you are looking for a good natural makeup powder which gives you natural finish and subtle glow.